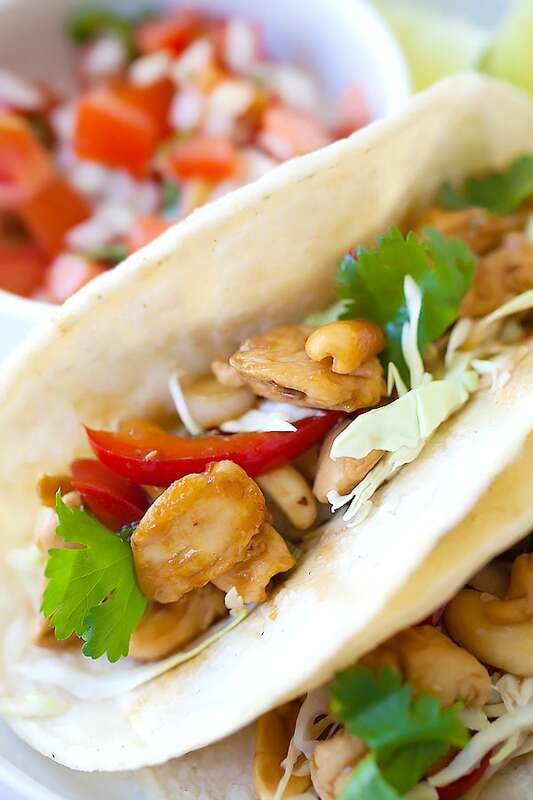 Kung Pao Chicken Tacos - amazing tacos with Chinese Kung Pao Chicken. 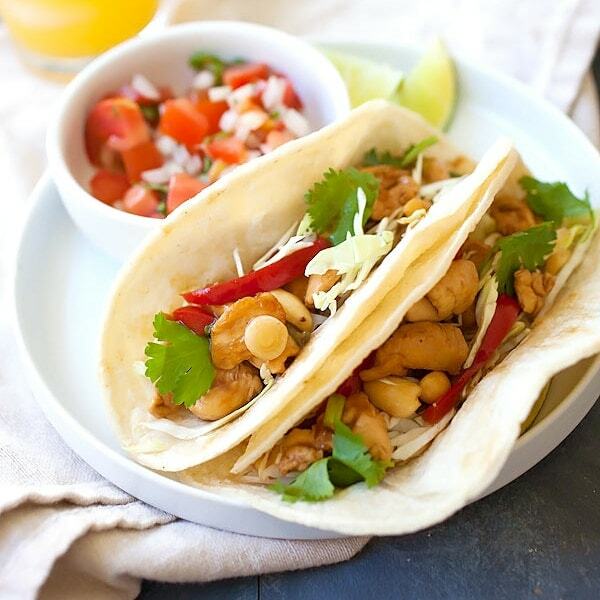 Savory and slightly spicy chicken and roasted peanuts make the tacos so delicious. I have wanted to do this Kung Pao Chicken Tacos recipe for the longest time. My friend Simply Reem told me that one of her favorite recipes on Rasa Malaysia is Kung Pao Chicken, one of my favorite Chinese recipes. She said that she makes it for her family and they all love it, and that her favorite way of eating my Kung Pao Chicken is with tacos. What a great idea, why haven’t I thought about that?! A couple of months ago, when I met up with my friend SkinnyTaste in New York City, she told me the same thing. She said that I could be making so many awesome American-friendly Asian recipes, and we talked about Kung Pao Chicken tacos! 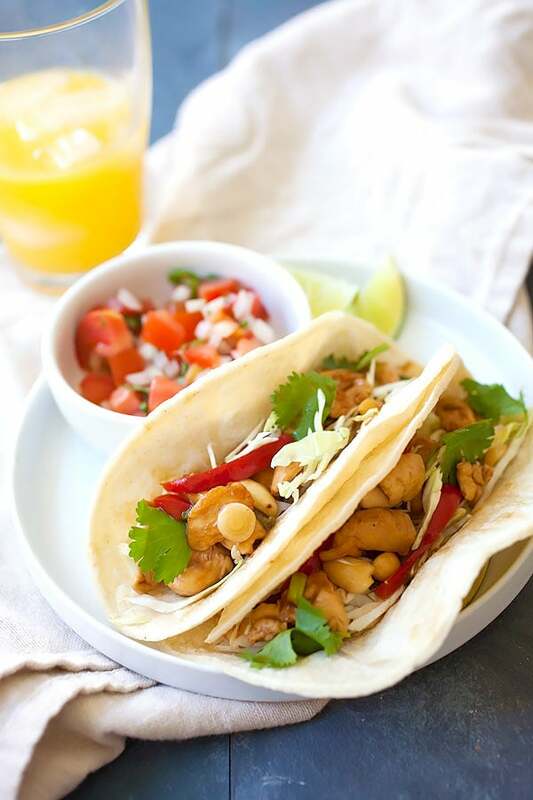 So here I am offering up my recipe for the most amazing, delicious, yet healthy Kung Pao Chicken tacos that anyone can whip up in less than 30 minutes for the entire family. In colder months, this recipe is the surefire way to fire up your palate, and give you some warmth. There is definitely heat in the tacos, but not intense, but just enough to give you some tingling sensation on your tongue. However, the shredded lettuce and salsa tone down the heat from the Kung Pao Chicken so every bite is absolutely mouthwatering, refreshing, and you just can’t wait to assemble another taco and eat more of them. 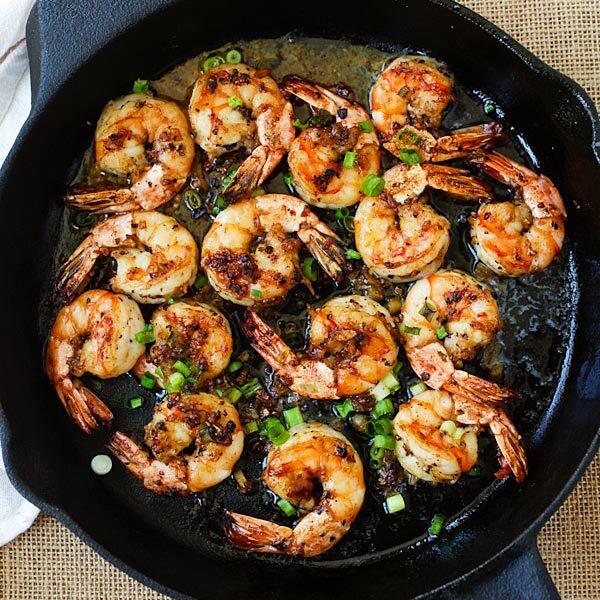 You can even make a variation of this recipe by swapping the protein, for example: shrimp. So you can have kung pao shrimp tacos (slurp! ), or a combination of kung pao chicken and shrimp tacos. My mouth waters at the very thought of it. 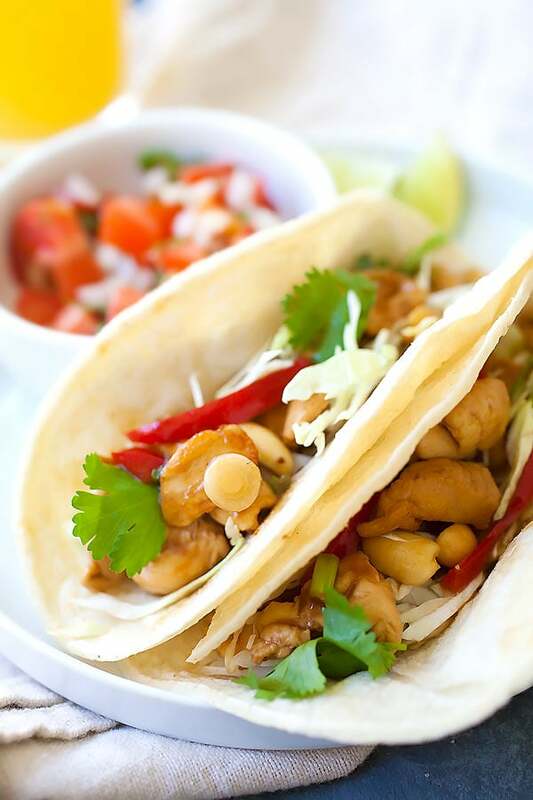 Lucky for me…I have some leftover tacos in the fridge, which I am sure will be ready for another batch of these scrumptious kung pao chicken tacos! 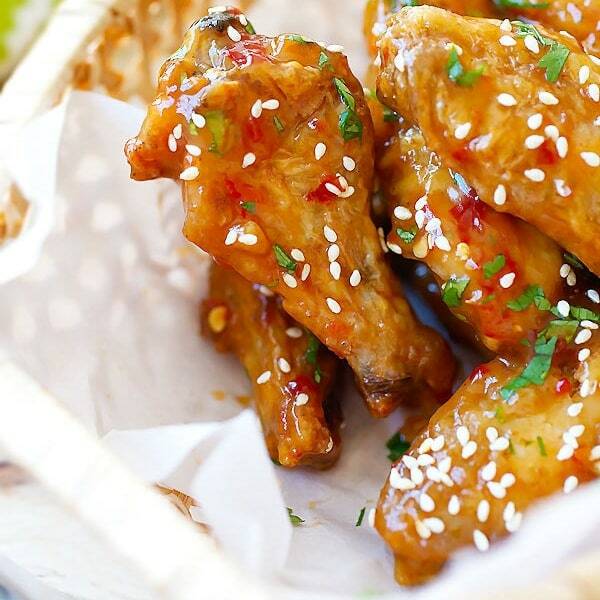 Marinate the chicken with the Marinade, set aside for 10 minutes. Mix all the Sauce ingredients in a small bowl, stir to combine well. Set aside. Heat up a wok or skillet with the oil, stir fry the ginger until aromatic. Add the red bell peppers and dried red chilies, stir fry until you smell the spicy aroma from the dried chilies. Add the chicken and stir fry continuously until the chicken turn opaque. Add the roasted peanuts, and stir in the Sauce. When the sauce thickens and the chicken is completely cooked, add the scallions before transferring the Kung Pao Chicken out on a serving platter. Assemble the tacos by adding some Kung Pao Chicken onto the taco, then add some shredded cabbage and cilantro on top. If you like, you may add some salsa, but I prefer to have my salsa on the side, and having them as a palate cleaner in between each tacos. To prepare Kung Pao Shrimp tacos, can you refer to my very popular Kung Pao shrimp recipe. All photos and recipes on Rasa Malaysia are copyright protected. Please do not use the photos and recipes without prior written permission. 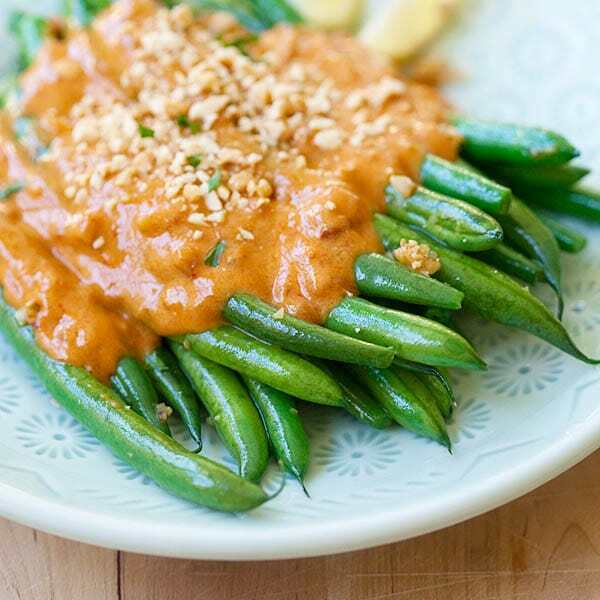 If you wish to republish this recipe, please rewrite the recipe in your own words instead of copy and paste and link back to //rasamalaysia.com/kung-pao-chicken-tacos/. Thank you very much! Everything can be improved by the addition of Gongbao chicken. Fact. These look so delicious! Would love to try with shrimp too! Yes or the combination of shrimp and chicken is fantastic! Thank you Bee for nice taco recipe. By “corn or flour tacos”, I’m guess you mean tortillas? Also, what is “dark soy sauce”? I’ve never heard of it. Is there another name I might find it under. I really want to try this. Your recipes look so awesome!